Welcome to the last day (Day #10) of Chocolate and Spices Theme Week. 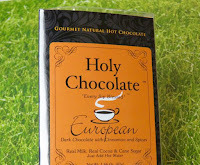 Today's trio of spiced chocolate beverages included drinking chocolates and a chocolate tea. 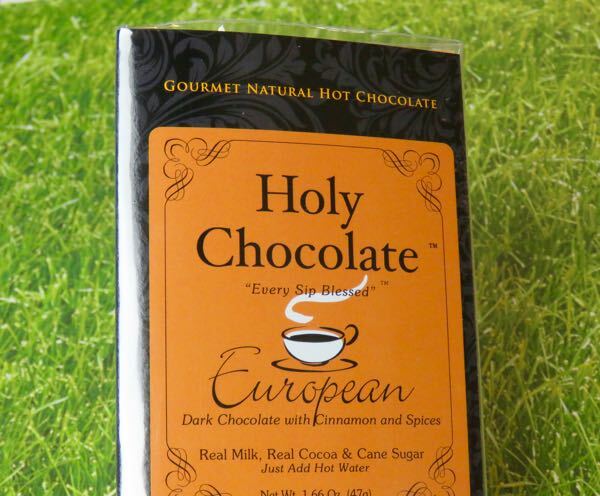 This mix contained "real milk, real cocoa and cane sugar" (and a Psalm from the Bible) and had very smooth almost creamy hot chocolate flavor with a warm but light spice accent. All round; no sharp edges; it was a crowd pleaser. 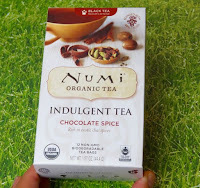 This spiced tea with cocoa powder and carob had a beautiful, fragrant aroma. Some may prefer to add milk and sugar to this tea. By itself it's good, but had a very slight bitter finish. 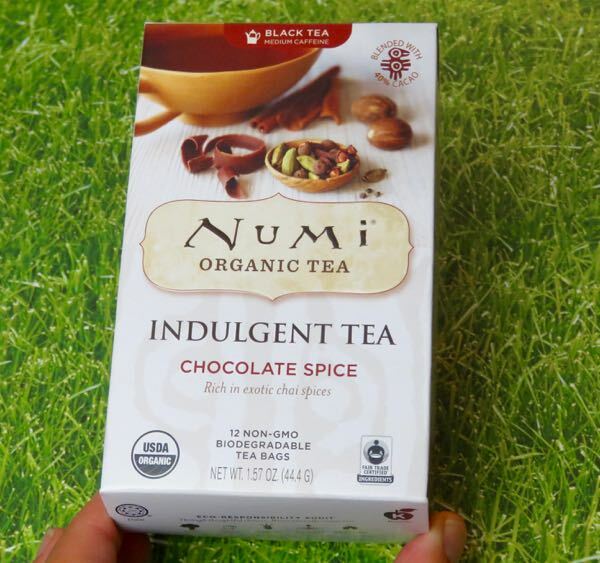 I may have had this (or a similar) tea several years ago in a Numi Tea retail space in Oakland, CA. This offering from Cacoco, Inc. (Santa Cruz, CA) could be used for drinking chocolate or as a mix-in for ice cream, desserts and blended smoothies. 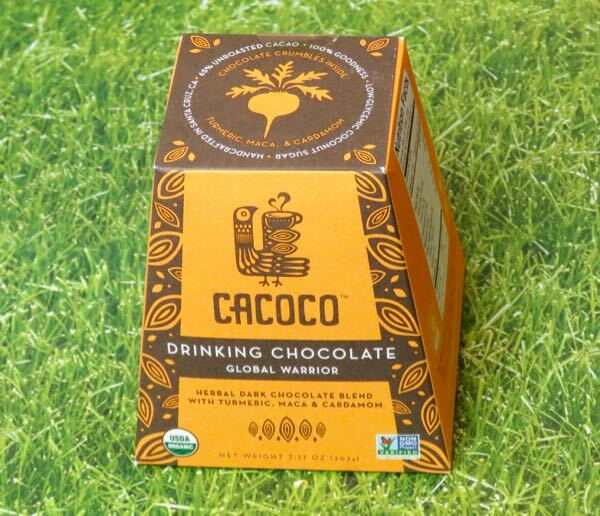 Described as an "energizing chocolate blend of superfood herbs and spices," this mix was made with "ethically sourced, unroasted Arriba Nacional Ecuadorian cacao...and maca, turmeric and shilajit (an herbal blend). This was the most robust of the three cocoa and spice beverages today. 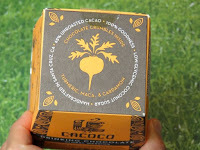 The flavor was rich, dark and interesting, with a slight vegetable note. 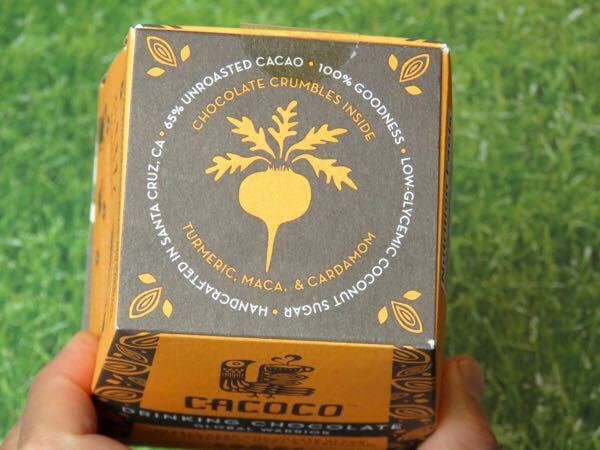 This bold dark chocolate mix was dairy free, so there was no (powdered) milk to soften the flavors like the European blend above.